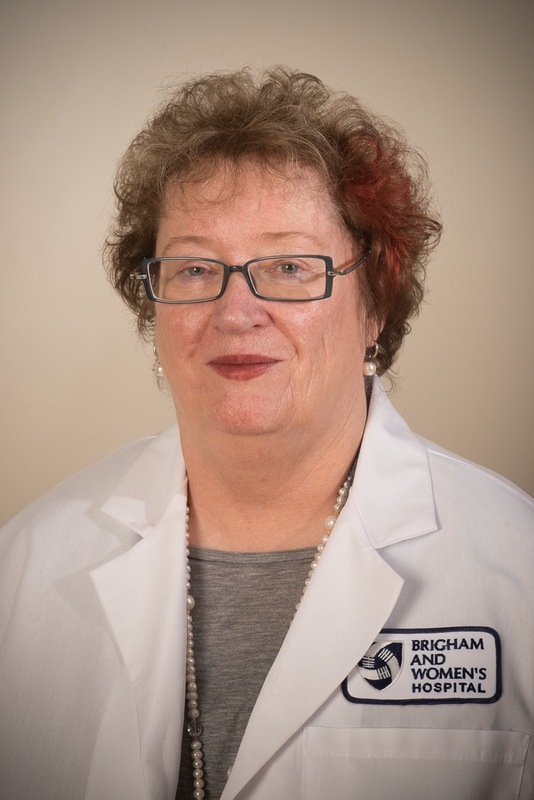 Psychiatry Neuroimaging Laboratory / People / Lab Members / Martha E. Shenton, Ph.D.
Dr. Shenton’s primary appointment is as Professor in Psychiatry, Brigham and Women’s Hospital, and Director of the Psychiatry Neuroimaging Laboratory. This is a new position as of October 1, 2005. Prior to this time, her academic appointment, also at the professorial level, was in the Laboratory of Neuroscience, directed by Dr. Robert W. McCarley, VA Boston Healthcare System, where she was Professor (since 2000) and Director of the Clinical Neuroscience Division of the Laboratory of Neuroscience. Dr. Shenton began working with Dr. McCarley in 1984, and she began working in the Surgical Planning Laboratory with Drs. Ferenc Jolesz and Ron Kikinis in 1988. Drs. Shenton, McCarley, Kikinis, and Jolesz have been actively collaborating on brain structural anomalies in schizophrenia since 1988. In 2003, Dr. Shenton was also appointed as Professor of Radiology, Brigham and Women’s Hospital, Harvard Medical School. 1992 Stanley Award Winners Dr. Ron Kikinis and Dr. Shenton use satellite technology to study brain abnormalities in schizophrenia. Her interests include neuroimaging studies in schizophrenia and schizophrenia related disorders. She has also been involved in neuroimaging studies of post-traumatic stress disorder with colleagues Drs. Roger Pitman, Mark Gilbertson, and Arieh Shalev. More recently she is working with collaborators in Portugal on a project investigating brain abnormalities in William’s Syndrome patients. Since 1999, her research focus has also included diffusion tensor imaging of white matter fiber tracts in schizophrenia. Most recently she has been involved in a 10 Clinical Consortium Site on Post-Traumatic Stress Disorder and Traumatic Brain Injury that is funded through the Department of Defense. Here she is PI of the Neuroimaging Leadership Core and plays a key role in delineating brain injuries in both civilian and military populations. Dr. Shenton is an established research investigator who has received a Career Scientist Development Award (K01, 1988-1993), two Independent Scientist Awards (K02, 1994-1999 and 1999-2004), and, a Senior Scientist Award (K05, 2004-2009) from the National Institute of Mental Health (NIMH). She has also received R01 grant support from NIMH for her imaging studies in schizophrenia, as well as support from VA Merit Awards. She was co-PI on a VA Schizophrenia Center grant, and she was PI on an Imaging Core and a Project as part of a Boston CIDAR Center grant that was focused on evaluating vulnerability to progression in schizophrenia (2007-2012). Additionally, she has received numerous private foundation grants including two Milton Foundation Awards, two Scottish Rite Awards, a Stanley Foundation Award for Research into Serious Mental Illnesses, as well as being a Senior Mentor for the Stanley Medical Research Institute to support hands-on research experience for high school students, undergraduate students, graduate students, and medical students in the field of mental health (1997-2004). She is author on more than 400 peer reviewed empirical articles and proceedings, as well as author or co-author on multiple book chapters. Most recently she has edited a book with Dr. Bruce Turetsky for Cambridge University Press entitled Understanding Neuropsychiatric Disorders (2011). She has also edited a book with Dr. Christoph Mulert for Springer Verlag Press entitled MRI in Psychiatry (2014). She is Associate Editor of Brain Imaging and Behavior, and she is also on the editorial board of Schizophrenia Bulletin, Schizophrenia Research, and Psychiatry Research: Neuroimaging, as well as being a frequent reviewer for more than fifty journals. She has served on the National Institute of Health Study Committees, including the following Initial Review Groups: Clinical Neuroscience and Biological Psychiatry, Brain Disorders and Clinical Neuroscience-6, Conte Center grant reviews, and the Neural Basis of Psychopathology, Addictions and Sleep Disorders Study Section. She has also reviewed grants for the Wellcome Trust in the United Kingdom and for the March of Dimes Birth Defect Foundation. She also serves as a member of the Board of Honors Tutors in the Department of Psychology (Faculty of Arts and Sciences), Harvard University, Cambridge, MA, and she has been Chair and Co-Chair of the Research and Development Committee, VA Boston Healthcare System, as well as for the Department of Psychiatry at Harvard Medical School, and she has also served as a member of the Subcommittee of Professors, Harvard Medical School. She has received numerous awards throughout her career, including being the fifth recipient of the Joseph Zubin Memorial Fund Award for Research in Psychopathology, the William Silen Lifetime Achievement Award for Mentoring, and a Distinguished NARSAD award.